Arne Hasse, a judge in a district court in Frankfurt, announced that a temporary ban on Uber, a car-sharing service, had been lifted in Germany. LONDON — After a series of legal setbacks in Europe and North America, the ride-hailing service Uber got some welcome news on Tuesday. A court in Frankfurt overturned a nationwide ban against the company’s car-sharing service in Germany, lifting, for now, one of the most severe legal restrictions that Uber had faced anywhere in the world since it was founded in 2009. The temporary injunction on the service, which allows drivers to connect with potential passengers through a smartphone application, had been imposed by the court at the end of last month before a hearing could be held. After the hearing on Tuesday, judges announced that Uber, a start-up company based in San Francisco, could now operate in Germany. 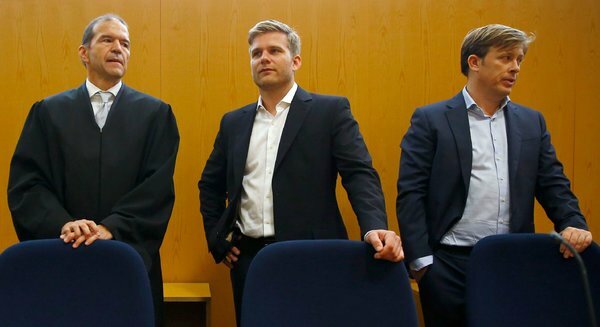 The judges were sympathetic to the arguments of Taxi Deutschland, a trade body that had brought the initial case against Uber, claiming that the service competed unfairly with local taxis, said Arne Hasse, a spokesman for the Frankfurt court. But he said that while the association was right in bringing the case and requesting the injunction, the group had waited too long to file the case, and therefore the injunction had to be lifted. Mr. Hasse said that any case must have been brought within two months of Uber’s starting its service in Germany. Uber began its low-cost service, UberPop, in April, and Taxi Deutschland submitted its legal challenge in August, arguing that Uber did not provide the necessary licenses and insurance for its drivers. UberPop was banned in the German court’s original decision, which came to light Sept. 2. As part of its ruling on Tuesday, the court did not make a judgment on whether Uber’s services were now legal in Germany. The German taxi association said Tuesday that it still believed that Uber was acting unlawfully and that it would appeal the decision in the coming month. The comments follow vocal opposition to Uber from taxi associations across Europe, which accused the company of breaking local laws. Earlier this summer, more than 10,000 taxi drivers from London to Milan took to the streets to protest Uber, which has now expanded to more than 100 cities in 45 countries and is valued at more than $15 billion. 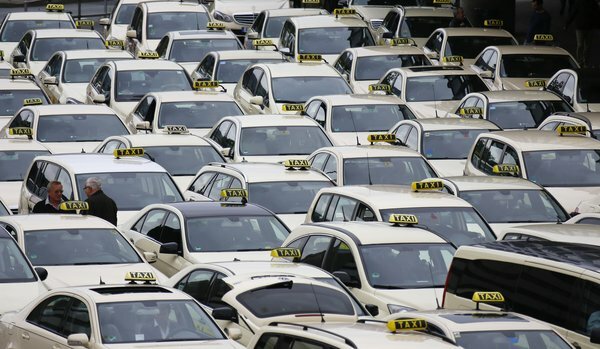 German taxi drivers voiced their dismay Tuesday that the court had lifted the nationwide ban despite continuing legal uncertainties over whether Uber could operate in Germany. “We lose money every day,” said Michael Linke, 60, who has been a taxi driver in Frankfurt for more than 30 years. He and other drivers complain that their Uber competitors can offer cheaper prices because they are not saddled with the same operating costs, like taxi insurance and local licenses. Taxi associations and local authorities also have open legal cases against Uber in Berlin and Hamburg, though the company has won reprieves in those German cities until courts make a final ruling this year over whether Uber complies with local laws. In the Frankfurt case, which centered on whether its business was anticompetitive, Uber faced fines in Germany of up to 250,000 euros, or about $330,000, or a jail term of up to six month for a local employee, if it violated the temporary injunction. Uber drivers, who are not employees, did not face direct penalties. Uber’s premium product, Uber Black, which uses luxury sedans with chauffeurs, was not affected by the ruling. At the time, the company said that it would continue to operate in Germany. In the last two weeks, at least two UberPop drivers in Germany had been barred from using the service to pick up drivers, according to a company spokesman, who would not say whether the company had paid fines in those cases. 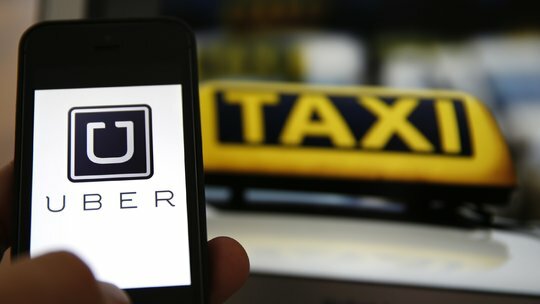 Uber said Tuesday that the court’s decision would help drive innovation in the country’s traditional taxi industry. Mark Scott reported from London and Sarah Plass from Frankfurt. A version of this article appears in print on September 17, 2014, on page B3 of the New York edition with the headline: German Court Lifts Ban on Uber Ride Service. Posted on September 17, 2014, in Postings. Bookmark the permalink. Leave a comment.